Long before he filmed himself gunning down a TV reporter and cameraman during a live broadcast Wednesday in Virginia, the man identified as the killer traced a volatile career path that saw him fired from at least two stations for conflicts with co-workers, leaving memories of an "off-kilter'' loner. Vester Flanagan, 41, a former employee of the television station where the slain man and woman worked, fatally shot himself later in the day when confronted by police on a highway outside Washington, authorities said. 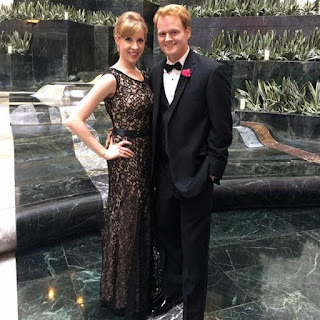 Flanagan had opened fire on reporter Alison Parker, 24, and photographer Adam Ward, 27, as they interviewed a local business leader at Smith Mountain Lake, near Roanoke, about 375 kilometers (230 miles) southwest of Washington. Flanagan was known professionally as Bryce Williams. Two social media accounts linked to that name were used after the shooting to publicize images from the scene. Among them, a video from the shooter's point of view showed him walking up to the unsuspecting news crew, raising a gun at Parker and firing several shots. She stumbles away before the screen goes dark. Several more gunshots are then audible. Parker and Ward died at the scene. At the time of the attack, the WDBJ-TV crew was interviewing Vicki Gardner, head of the community's Chamber of Commerce, for a business story. Gardner was shot in the back but survived. 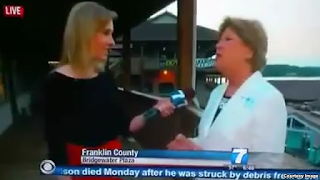 An executive at WDBJ said the crew was working on a routine news interview when the gunman walked up. A WDBJ anchor told viewers: "They were out covering a feature story. They were not out covering protests or demonstrations." The shooting began about 6:45 a.m. (1045 UTC) during a live broadcast. Ward was able to briefly capture an image of the shooter before he and the camera fell to the ground. It is with extreme sadness that we report WDBJ7's Alison Parker and Adam Ward were killed in an attack this morning. We love you, Alison and Adam. We didn't share this publicly, but @AParkerWDBJ7 and I were very much in love. We just moved in together. I am numb. The television station's general manager, Jeffrey Marks, joined WDBJ's anchors as they emotionally tried to tell viewers what took place. "We heard screaming. We heard nothing. And then the camera fell," Marks said. ABC News said its New York office received a 23-page suicide note attributed to Bryce Williams between Tuesday night and Wednesday morning. In what the network called an "often rambling" manifesto, the writer said that the racially motivated killings of eight black churchgoers in Charleston, South Carolina, in June prompted Wednesday's rampage. "The church shooting was the tipping point … but my anger has been building steadily ... I’ve been a human powder keg for a while … just waiting to go BOOM!!!!" it said. According to ABC, the writer also referred to Virginia Tech shooter Seung Hui Cho, who killed 32 people at the university in 2007, and the Columbine High School massacre of 1999. 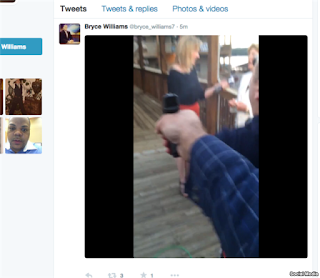 WDBJ officials said Flanagan worked at the Roanoke station for less than a year before he was fired in February 2013. He had to be escorted out of the building by local police "because he was not going to leave willingly or under his own free will,'' the station's former news director, Dan Dennison, said in an interview with a Hawaii station, Hawaii News Now (KHNL/KGMB). The conflict described by Dennison in many ways echoed another, in 2000, when Flanagan was fired from a Tallahassee, Florida, television station after threatening fellow employees, a former supervisor said. Flanagan "was a good on-air performer, a pretty good reporter, and then things started getting a little strange with him,'' Don Shafer, the former news director of Florida's WTWC-TV, said Wednesday in an interview broadcast on Shafer's current employer, San Diego 6 The CW. "He threatened to punch people out, and he was kind of running fairly roughshod over other people in the newsroom,'' said Shafer. In 2000, Flanagan sued the Florida station over allegations of race discrimination, claiming that a producer called him a "monkey'' in 1999 and that other black employees had been called the same name by other workers. Flanagan also claimed that an unnamed white supervisor at the station said black people were lazy because they did not take advantage of scholarships to attend college. The parties later reached a settlement. Since early August, a Twitter account under Williams' name showed a series of photos from childhood, kindergarten through high school, as well as photos of a man resembling Flanagan as an adult. Several posts after the shooting addressed the victims specifically. "Alison made racist comments," the account alleged. "Adam went to HR [human resources] on me after working with me one time!!!" The poster then directed users to another account, writing, "I filmed the shooting. See Facebook." The accounts have since been suspended.